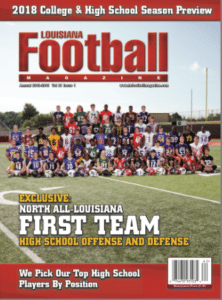 For one of the strongest football programs in not only the River Parishes, but also in the entire state of Louisiana, National Signing Day has become a yearly event for the Lutcher Bulldogs and its senior players. This year, it has been another success for the Bulldogs under Head Coach Dwain Jenkins. 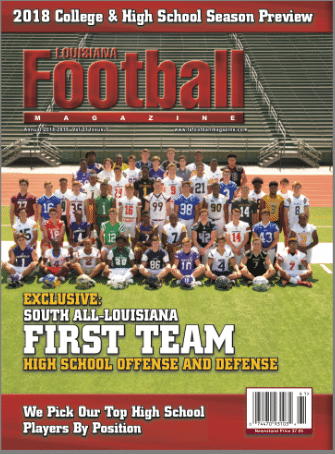 Unlike a lot of other Lutcher senior classes in the past, which experienced lots of winning seasons and championships, this year’s senior class has experienced both the highs and lows. As freshmen and sophomores, these players experienced the highest of highs winning back to back Class 3A state championships. Even though these players may not have seen the field as much as they do now, they played a big role on those state championship teams. However, the next season, the Bulldogs posted a surprising losing record at 4-7. Still, this group did not let that define who they were and the team bounced back with a 6-5 record this past year. For this team, they started off really strong and even with a bump in the road, the team was able to finish back on a strong note. For all the hard work and dedication, there are currently four Bulldog seniors that are taking their talent to the gridiron at the next level. 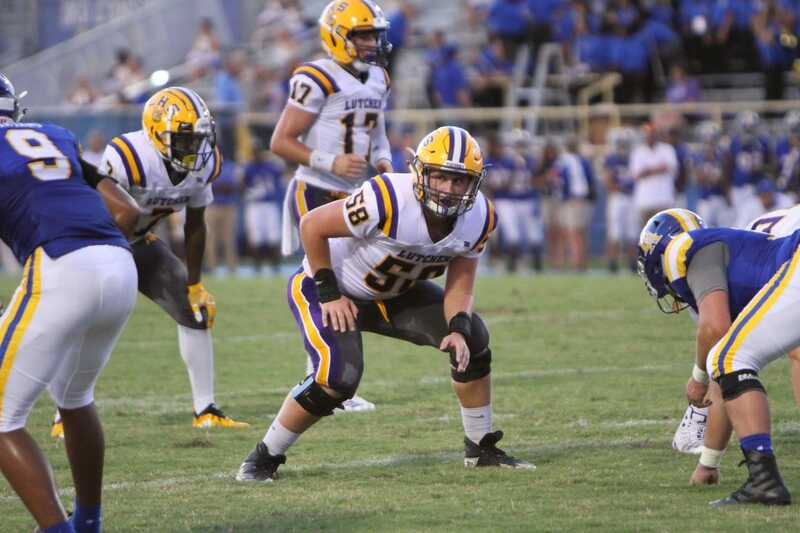 Louisiana Football Magazine’s Jace LeJeune caught up with Coach Jenkins as he gave his thoughts on his seniors, where they signed, and what role they played during their tenures at Lutcher. 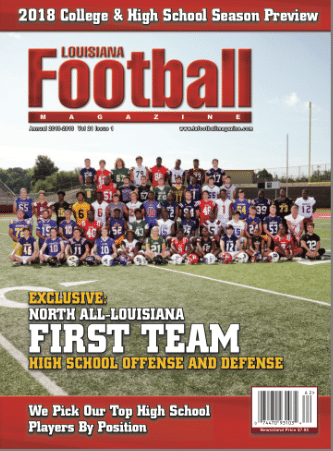 Also, Louisiana Football Magazine’s recruiting specialist Lee Brecheen gives his analysis on what types of players the signees can be in college. The good news about the college transition for these players is that there are two separate pairs that are signing with the same school. Bio: Alex Beier arguably had the most successful Lutcher prep career based on the field achievements and awards out of these four signees. 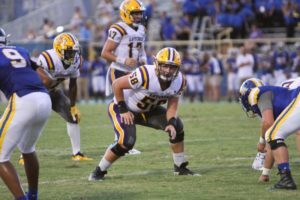 During his four years suiting up in the purple and yellow, Beier has not only been a two time state champion, but he has been named 1st Team All-District and 2nd team All-State. When Beier is finished with his football career, he is planning on getting a chemistry degree or some other science and then planning on getting another job. Beier gave his thoughts on signing with the Bulldogs. Bio: Alex Beier will join his teammate Zane McCrary as a preferred walk-on at Nicholls State University. McCrary already signed in the early signing period and according to Coach Jenkins, he is already enrolled at the university. McCrary, like Beier, has had a really good prep career and you can also make an argument about him having the most successful prep career out of the signees. For starters, McCrary was also a two time state champion, but he actually was a starter in the secondary at free safety for the Bulldogs on their 2016 state championship team. As a junior, McCrary made himself known moving to strong safety racking up 73 tackles including nine tackles for loss and three sacks. Even though McCrary may not be big at only 5-10, 175 pounds, his aggressiveness and physicality made him a great option getting up on the line of scrimmage as a defender. Thus, was the move to strong safety. 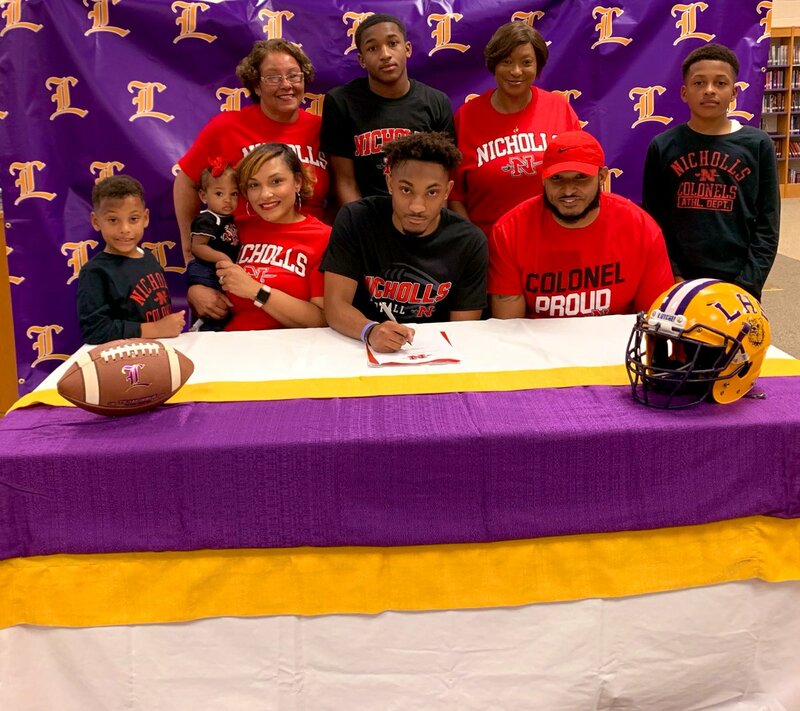 Beier talked about what it was like to play with a player like McCrary at Lutcher and his thoughts on now joining him to play another four years at Nicholls State. Bio: Senior WR Adrian Butler is the most inexperienced player on this list when it comes to football. In fact, this has been really Butler’s first year playing the game. Even as raw as Butler is, his big frame and talent were big assets down the road providing to be one of the best receiving targets for his fellow senior quarterback Kolby Bourgeois. Butler has decided to sign with Arkansas Baptist College in Little Rock, Arkansas. Bio: Like fellow teammates Alex Beier and Zane McCrary, who followed each other to Nicholls State, both Adrian Butler and DE Jamal Thomas will follow each other to Arkansas Baptist College. 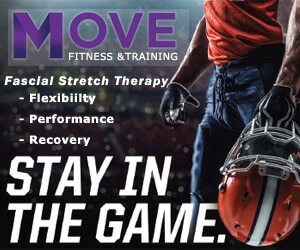 Thomas is a coach’s player and in fact, according to Coach Jenkins, wants to still be involved around the game of football coaching when he is done playing. At 6-3, 250 pounds, Thomas is a big player that is hard to block, but at the same time, understands the game and is very discipline along the edge. These were the four seniors that have already made their decision of where they want to go, but according to Coach Jenkins, there maybe another late signee. According to Brecheen, there are some other players including Taylor and Brown that have not yet signed that could potentially find a home somewhere playing college football. 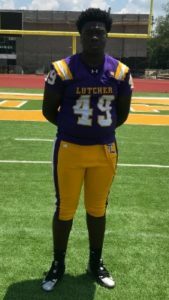 There is a chance that any of these players might sign late in the end, but regardless, it has been a successful signing day for the Lutcher Bulldogs and it should be even a bigger one next season with a lot of talent in the 2020 class for Dwain Jenkins’ squad.